James Chan: Yau Fung Tours and Transportation Company Ltd, later trading as Hong Kong Bus was incorporated on 11th February 1977 and dissolved on 31st July 2008. “Another operator who had traditionally run an all-single-deck fleet was Yau Fung Tours which introduced six ex-Greater Manchester Fleetlines in 1987. These were followed by two ex-Stagecoach of Perth Neoplan Skyliners. 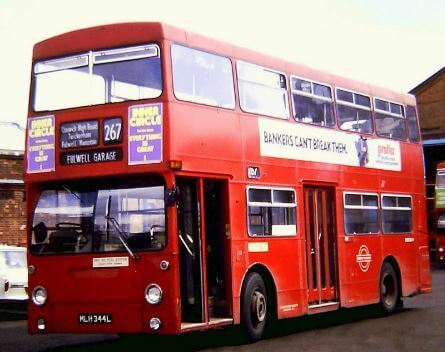 A further single Fleetline was acquired from Citybus in 1990, in the form of the latter’s D37 (DA2160), having previously been London Transport DMS2160. Yau Fung is also a Mercedes agent and in 1992 was operating several of the make with local bodies. The company operates from premises comprising a workshop and yard off On Ming Street, Shatin, roughly opposite Chai Wan Kon Street, City One Shatin, but on the opposite side of the river. In addition there is a general operating yard in a turning off To Yuen Street, Kowloon Tong, next to a Lutheran Kindergarten. Space in the latter yard is also let to other operators. This article was first posted on 22nd May 2017.